Yearning for that dream kitchen but tight on budget? 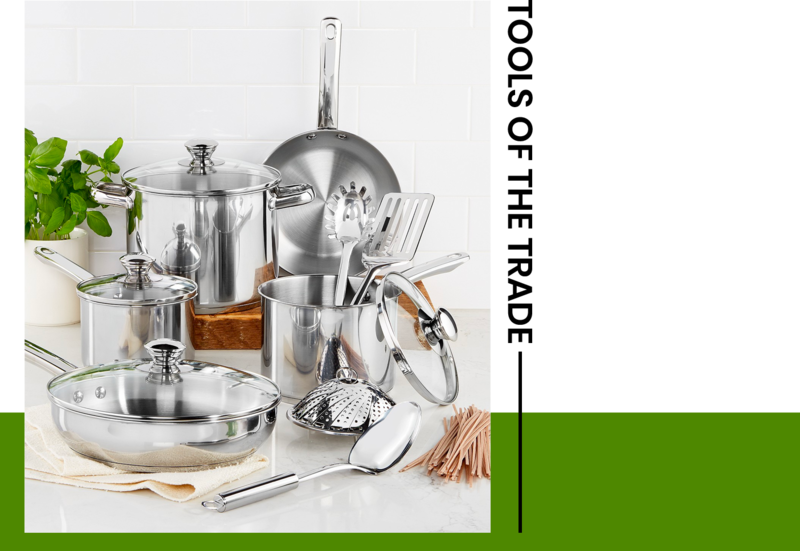 American department chain store Macy’s is now running a mega sale for the wide range of stylish kitchen accessories and utensils it offers. Shop now and fill up your kitchen with these value-for-money utensils! Every kitchen needs a set of stainless steel cookware. Not only are these sleek looking shiny cookware durable and impossible to destroy, stainless steel is great for flavour preservation and as it does not leach any metallic properties into food. 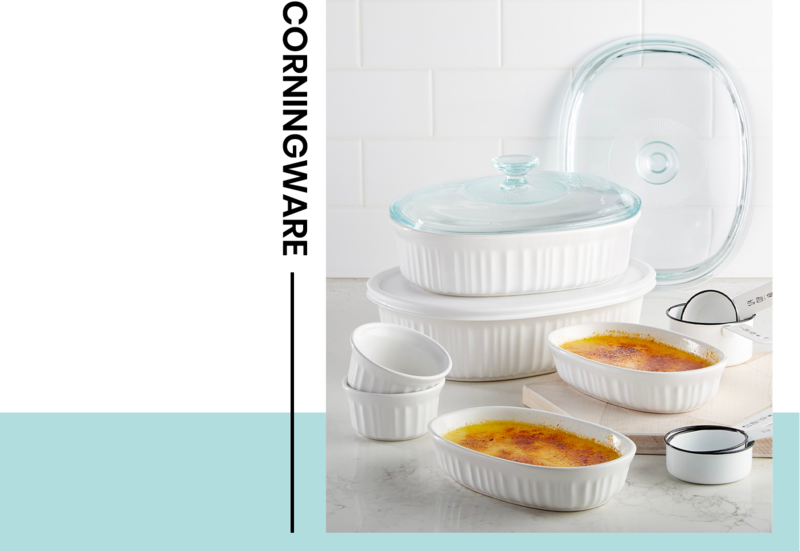 Recognizable by it classic white casserole dish, Corningware can be used on the stove or popped into the oven for baking. Not only is the this pure ceramic cookware easy to wash, it does not alter the flavour of food making it great for preparing sauces or alcoholic reductions. The single most important tool you need in the kitchen is the chef’s knife. 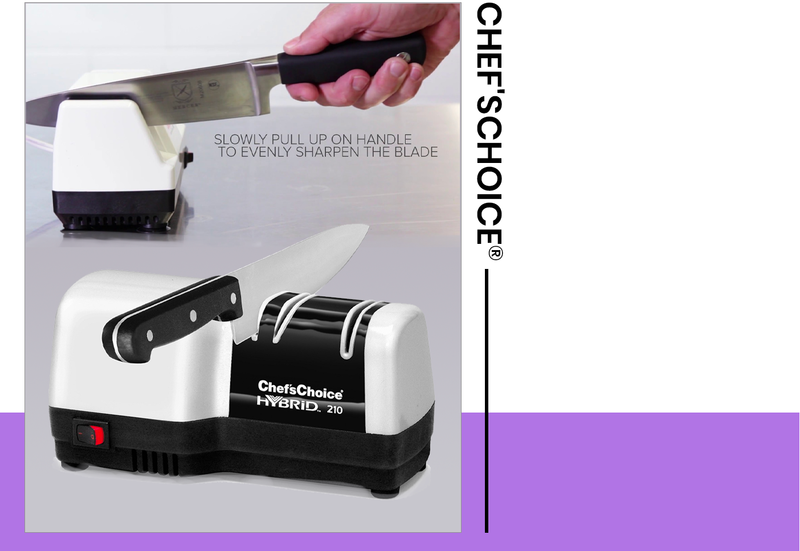 Take the hassle out of sharpening your blades with this electronic sharpener by Chef’s Choice to slice through food effortlessly, enabling you to work efficiently in the kitchen. If you enjoy baking, it is important to get the tools you need to whip up those awesome muffins, cakes, breads and cookies. 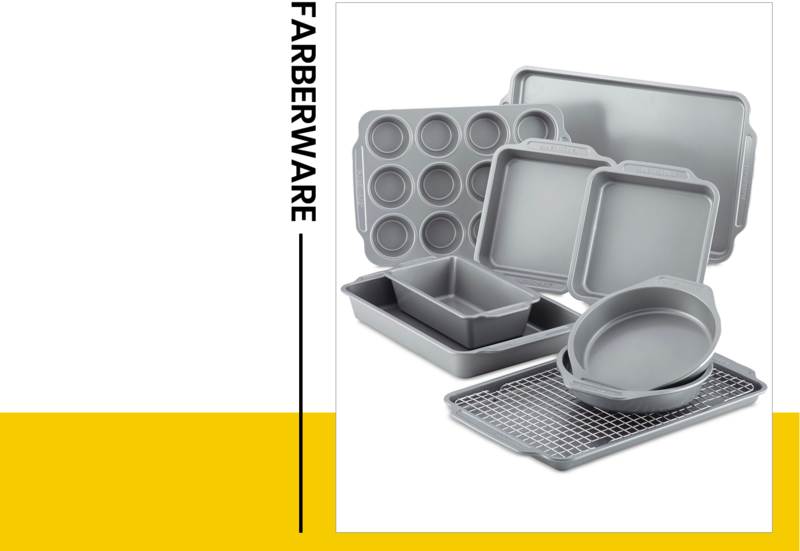 This 10-piece bakeware set made of durable steel with a non-stick coating covers all the essentials you need to get started on your baking adventure. 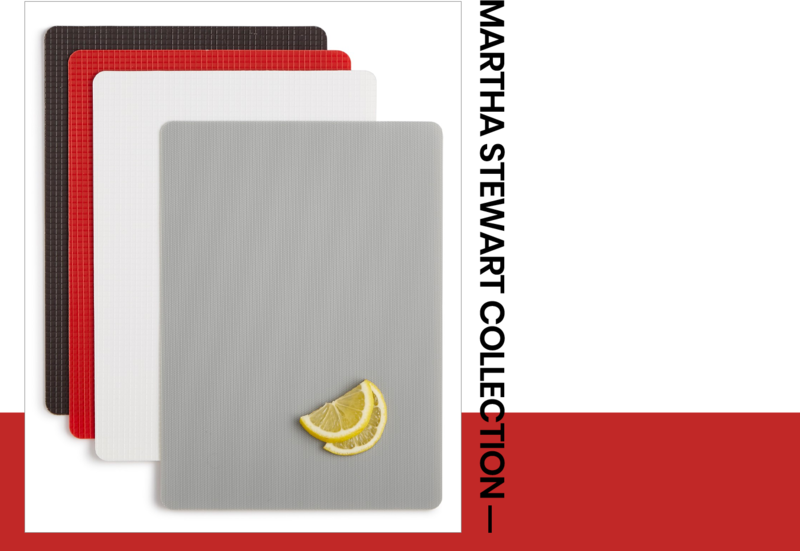 Martha Stewart Collection of flexible cutting mats comes in four different colours, making it easy for you to prevent cross-contamination between different food groups e.g. grey mat for fruits, white for vegetables, black for red meats and red for poultry. Perfect for your kitchen needs, the flexible cutting mats are lightweight, non-slip and easy to clean. 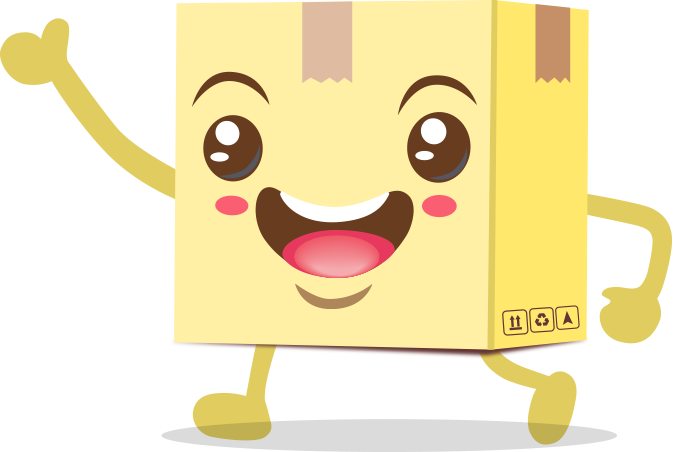 New to vPost? Sign up for your vPost account here.